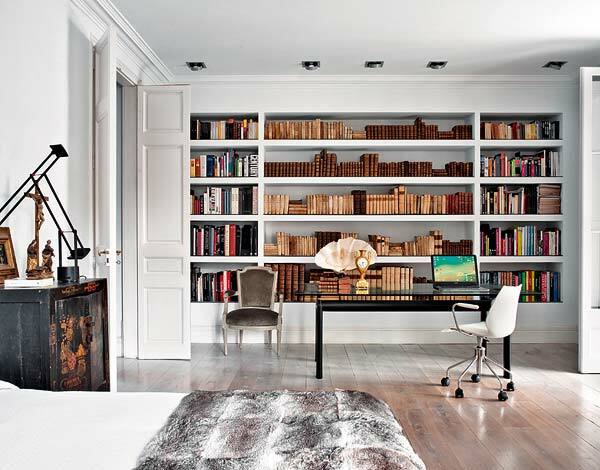 A big thanks to my readers who recognized that the room I posted last night was featured in Nuevo Estilo. 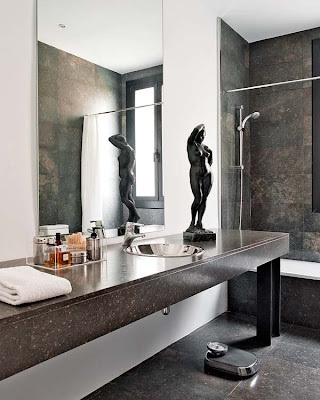 A little sleuthing unearthed the entire Barcelona apartment. It doesn't say who owns it or the designer but you can read the entire article here. 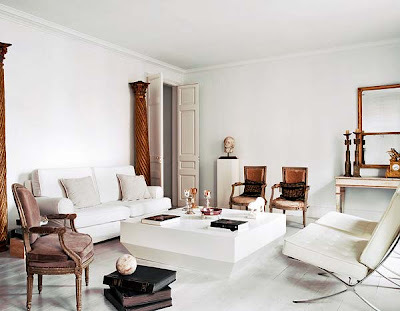 I do like color in my home but I also love this type of neutral decor. 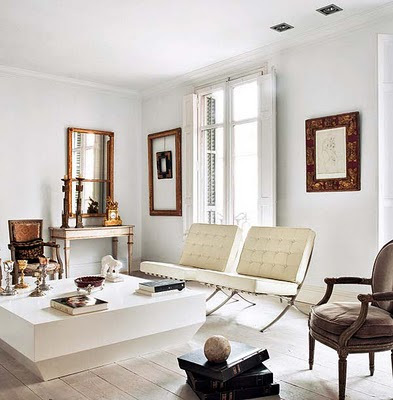 The patina of the antiques and artwork softens the feel of the modern Mies van der Rohe chairs and coffee table. The kitchen and dining room are a little too contemporary for me but when I kick the owner out and move in, they can easily be changed. Bon Weekend! The article was written in Spanish but I've used Google translate for the photo descriptions. They may be off here and there. In one corner of the room, Carlos IV table and a French table clock that dates from 1800. 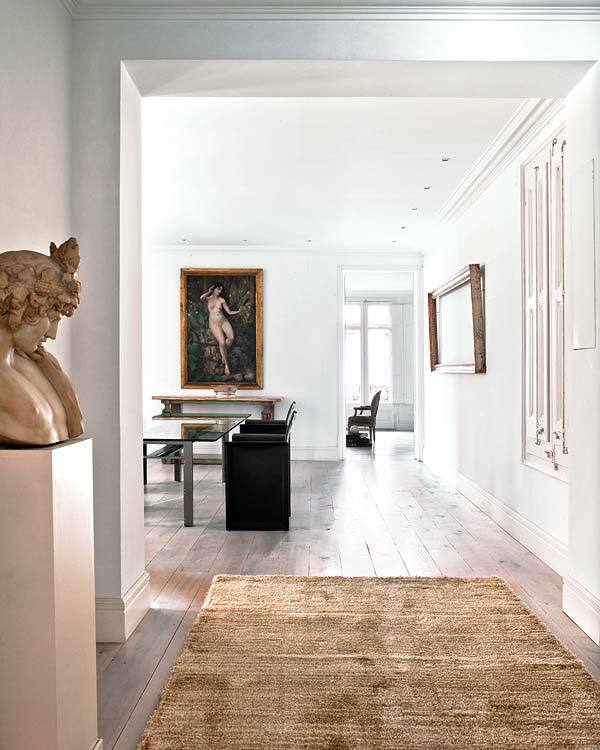 In the lobby is a pedestal with a bust of Antinous in Carrara marble from the 18th-century. The Dodge dining table was designed by architect Carlo Scarpa. 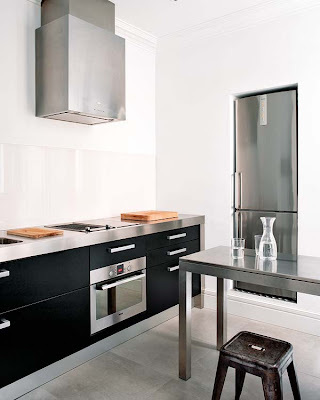 The choice of black in the kitchen contrasts with white walls and porcelain tiled floor. The steel table and Bosch fridge built into the wall multiply natural light. Los The iron stools are vintage. The rustic table, whip Toca and Ikea chairs painted in black, contrasting with the fabulous antique chandelier, acquired in Mavi Lizan. In the background, architrave and columns century polychrome XVIII. XVIII. Among the pots, anthropomorphic wooden sculptures, objects of desire. 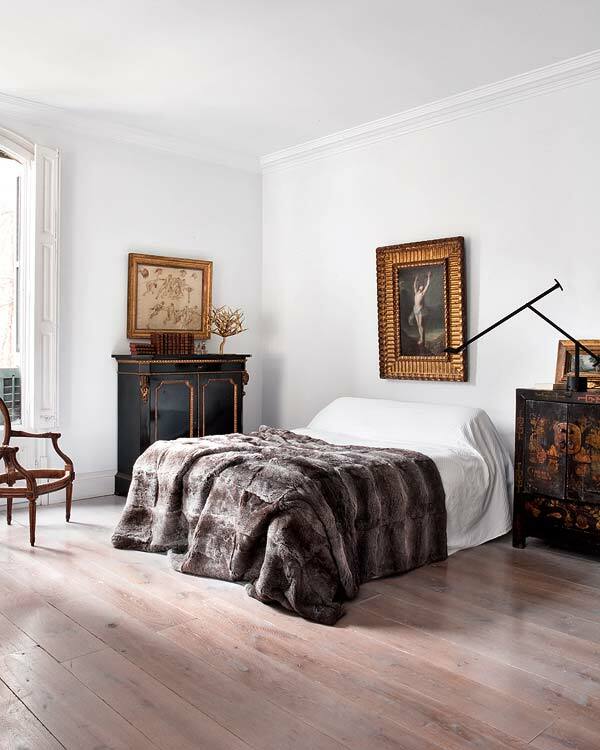 Above the bed without a headboard is a Spanish painting. 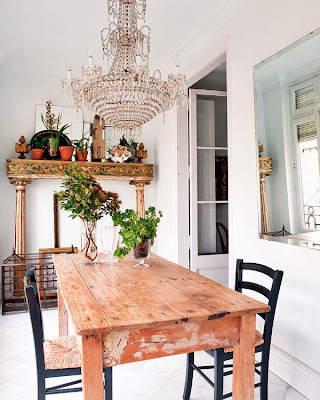 The cabinet is from the French Napoleon III era. The tree-shaped sculpture comes from Object of Desire and, behind, outline of the work Camí tow, Josep Rigol. The bedroom has happened to the gallery through glass paneled doors. 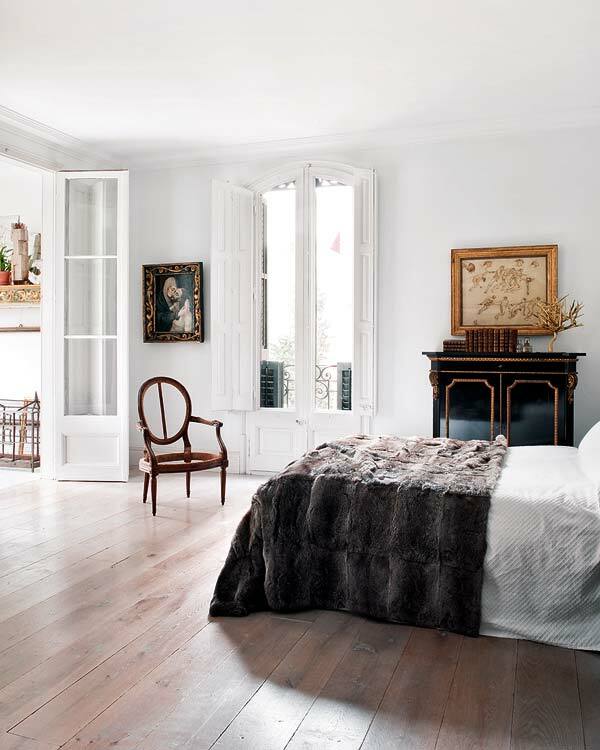 The Louis XVI chair frames becomes a sculpture in the room. The small-century Chinese cabinet holds a Tizio lamp from Artemide. Next to the library is a workspace with a LC6 table used as a desk designed by Le Corbusier, 1928, edited by Cassina. The chair Maui, Magistretti for Kartell, was purchased in Pilma. 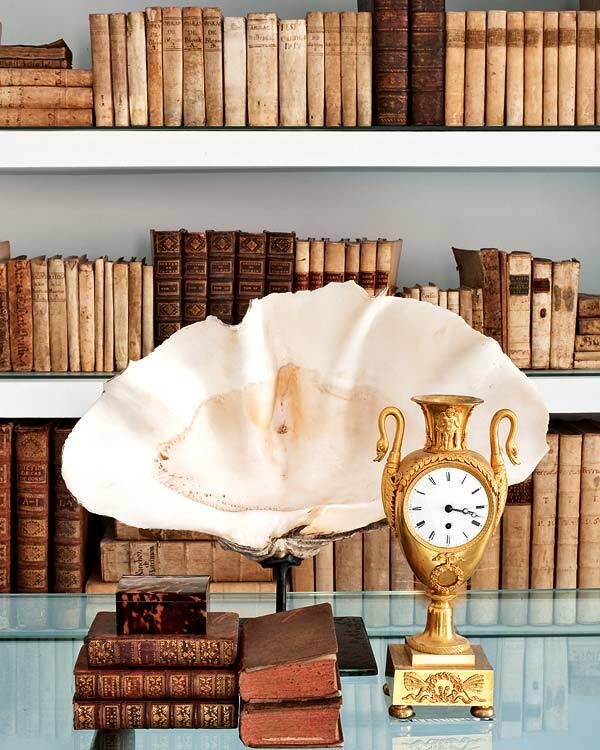 The French table clock dates from 1800 and the giant shell was acquired in Luzio. 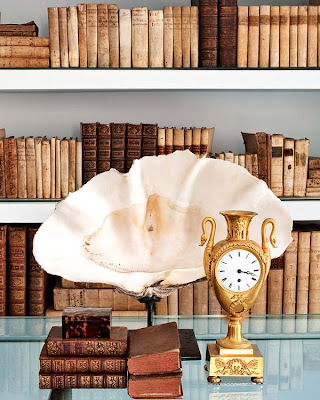 On the shelves, an extensive collection of over 300 volumes of books from the seventeenth and eighteenth centuries.